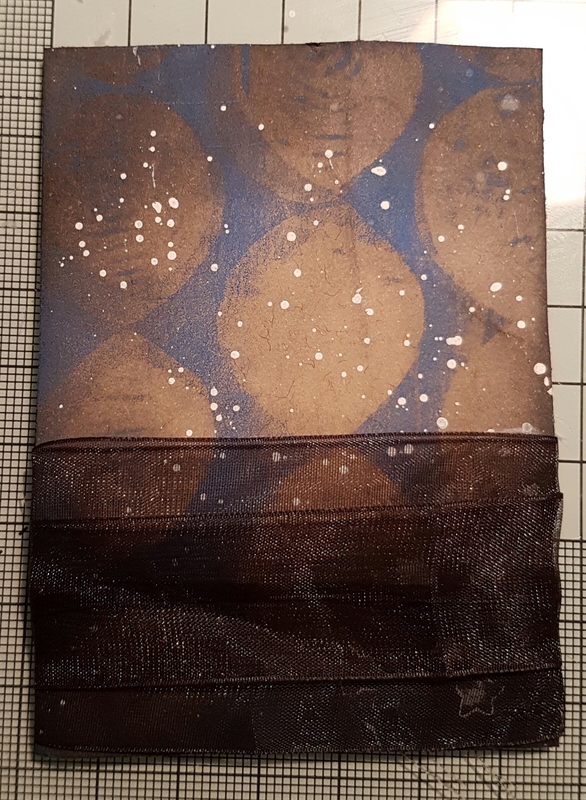 I took a Gelli print I had done on some kraft paper and inked it up with Hickory smoke and black soot distress ink. 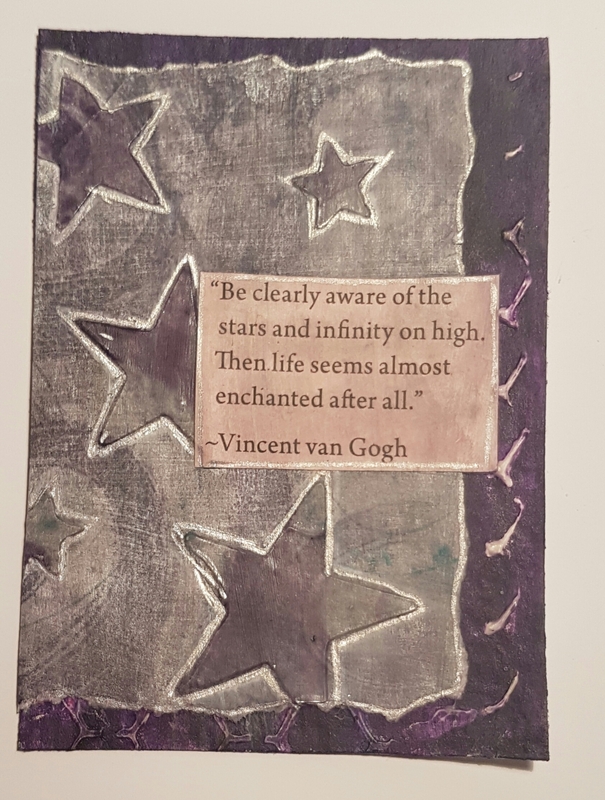 Next I added some stars . ..but I didn’t like them so flicked white paint instead and covered the stars with some organza ribbon. Next I chose a digital stamp from a day for daisies and coloured it using Promarkers. When I fussy cut the image I did lose the halo and some of her hair but think it still looks fab. I then added the little star paper clip onto the edge too. 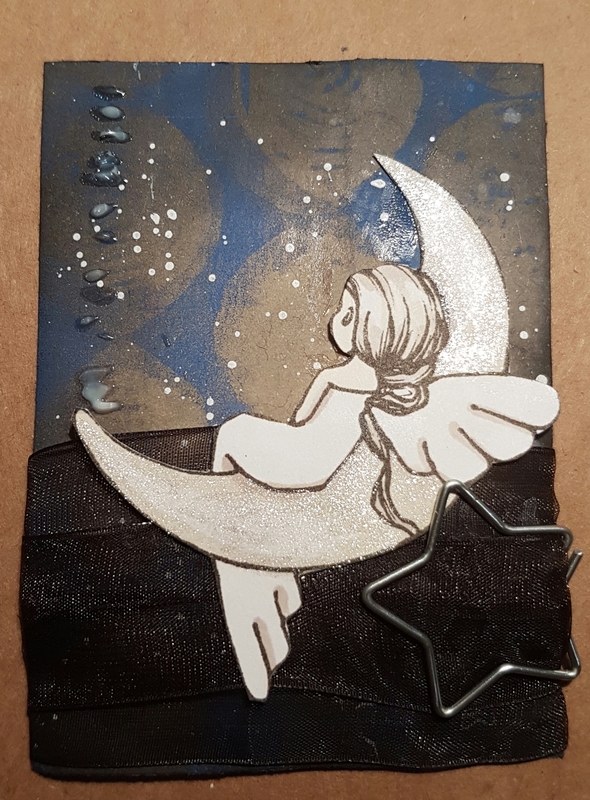 I wanted a bit of texture on this so also added some glossy transparent texture gel through a stencil and then some glimmer ink onto the moon to make it shimmer. I finished the ATC off with some gold pen outlines and a little sticker…. 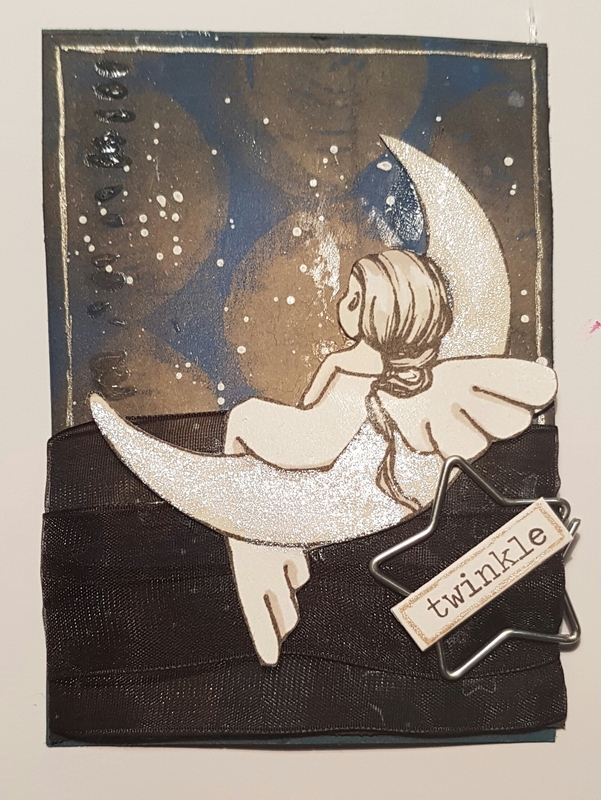 twinkle! The other two I didn’t manage any step by steps … just got carried away creating…. 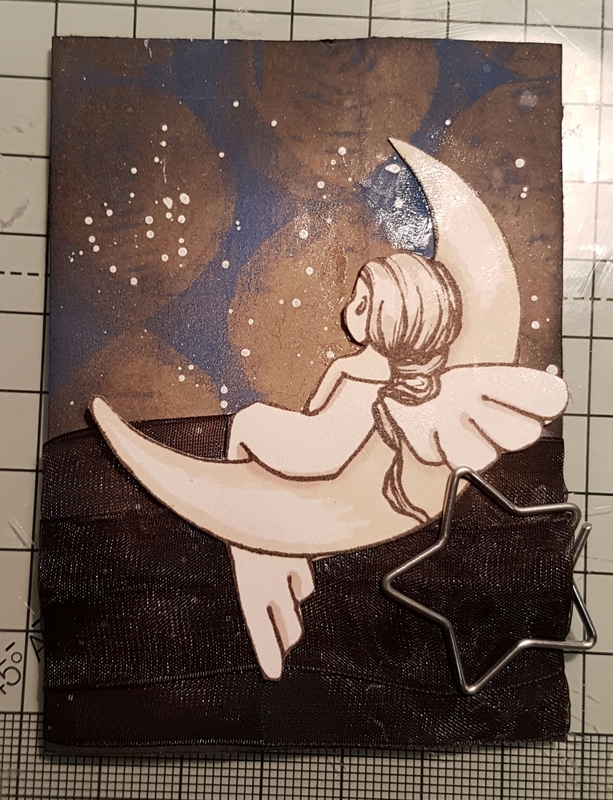 This has glossy raised stars and lots of silvery doodles. And the final one is a massive job in embossing! 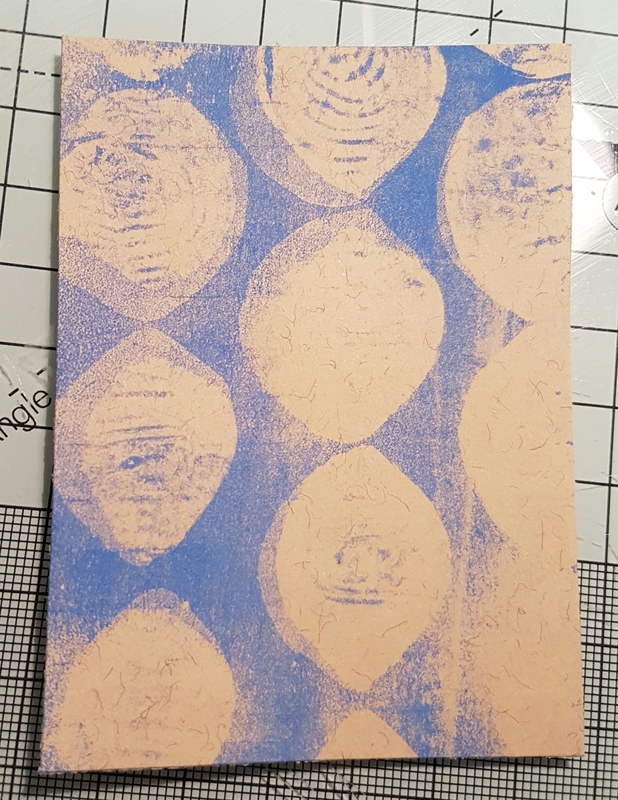 A stamped image, some stamped letters and handwritten letters using my much neglected embossing pen. Edged and embossed…. 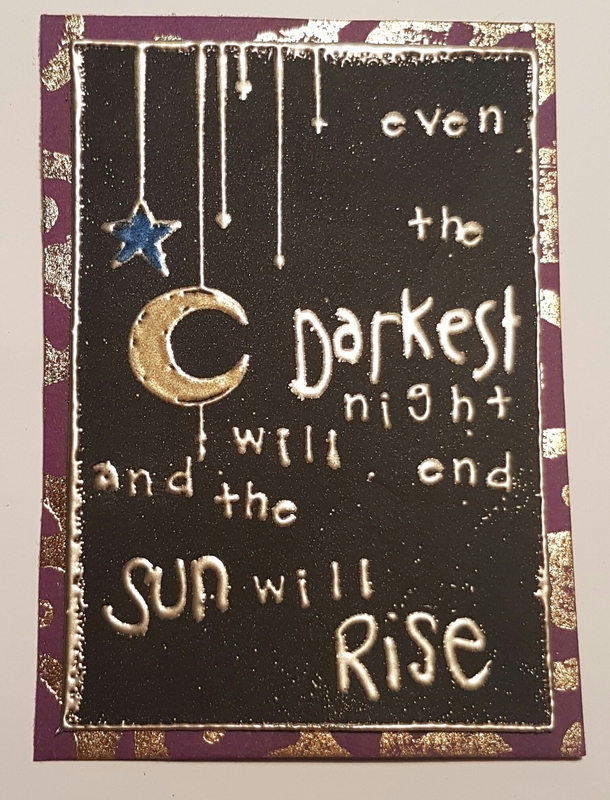 including colouring in the moon and star and using different embossing powder colours. I might have also scorched my fingers making this! Love all three different interpretations of the prompt … In the night.